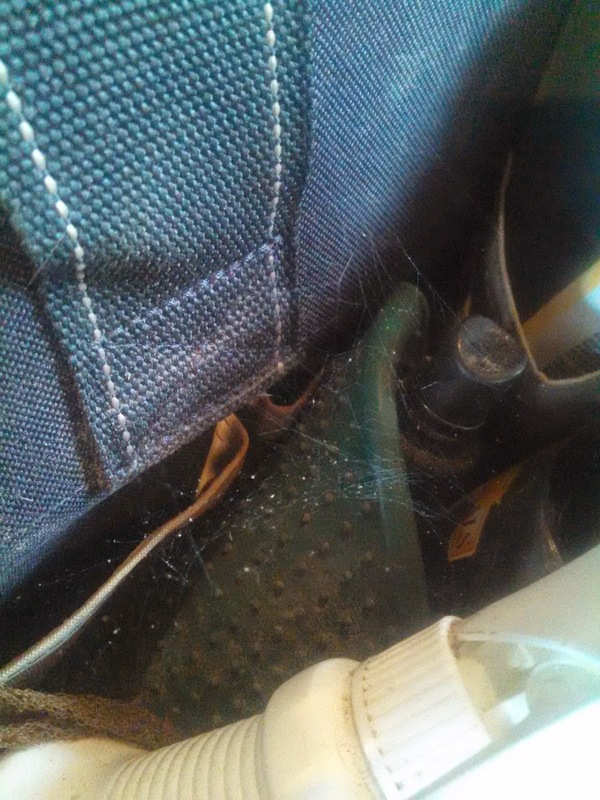 You know you've been gone too long when there are cobwebs in your grooming bag. 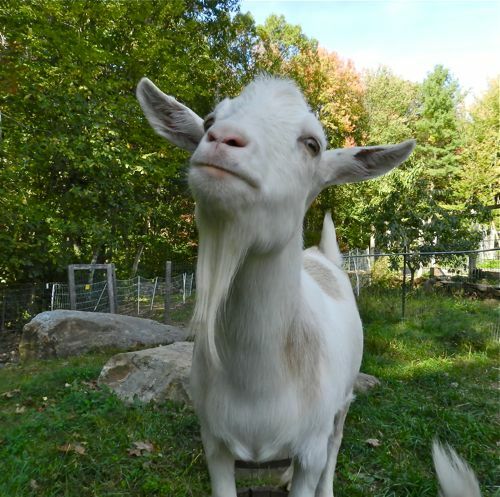 Just kidding, this is actually a goat. Do you see that? It's the one thing that drives me crazy more than anything else. I like a nice clean jawline, and Cobs grow epic beards. The first thing I did was give him many treats. 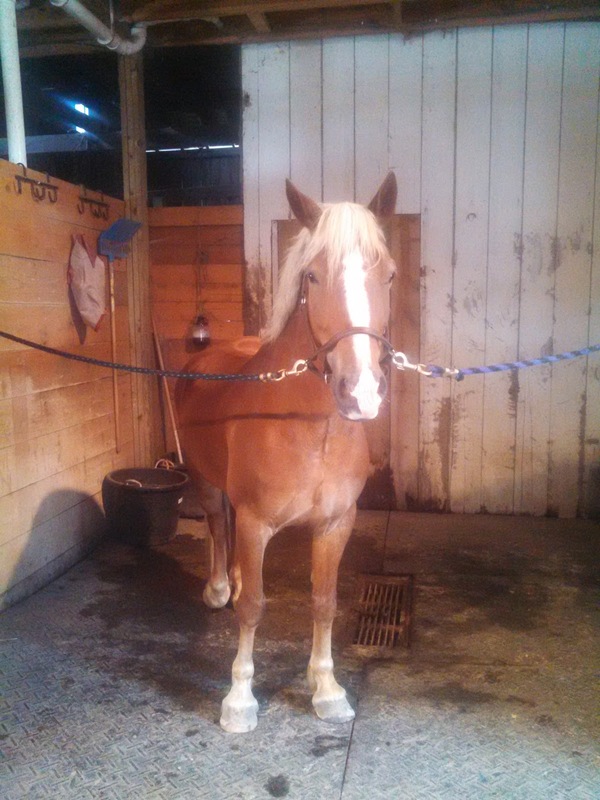 The second thing I did was shave off his goat beard and redo his bridle path. My trainer was probably dying on the inside every time she bridled him. Do you see that bump? 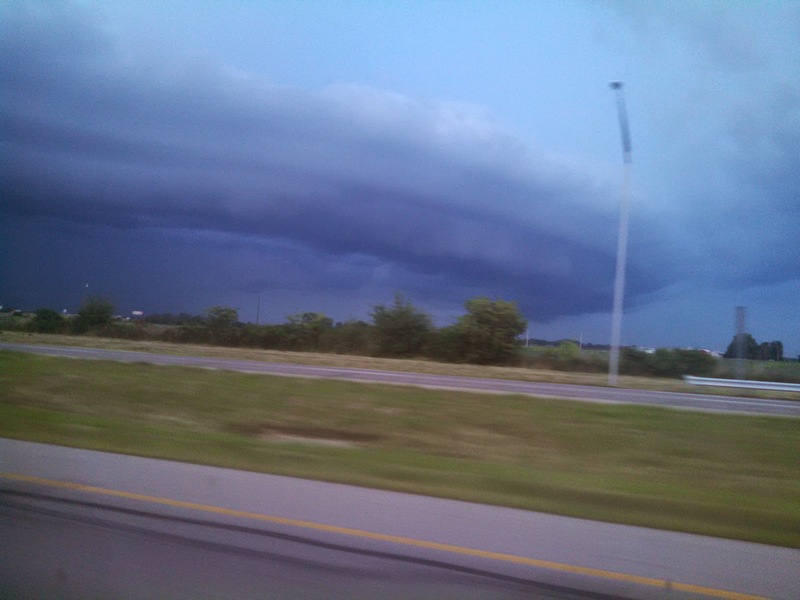 My trainer said it appeared this morning. It's hard, has no heat, does not palpate sore at all, the muscles around it don't palpate sore, and it doesn't affect his way of going. My thoughts are, keep an eye on it and sign up for the chiro list next time he's out. Anyone seen anything like this before? It doesn't appear to be a bug bite, it's quite hard. I can definitely tell my trainer had been on him. He got multiple trainer rides while I was gone. The first thing he did when I got on was stretch down and forward from his withers, which normally I have to work hard to get. He was also hyper-sensitive to my aids and bending laterally more easily. I also felt like his left side was back to being the poorer side. All of these are symptoms of my amateur self not being on his back for a while. I was almost afraid to get on him and ruin him without having a lesson first to remind me of all of my bad habits, but he does have one more trainer ride left on Thursday, when I am gone for a conference. We'll all live. 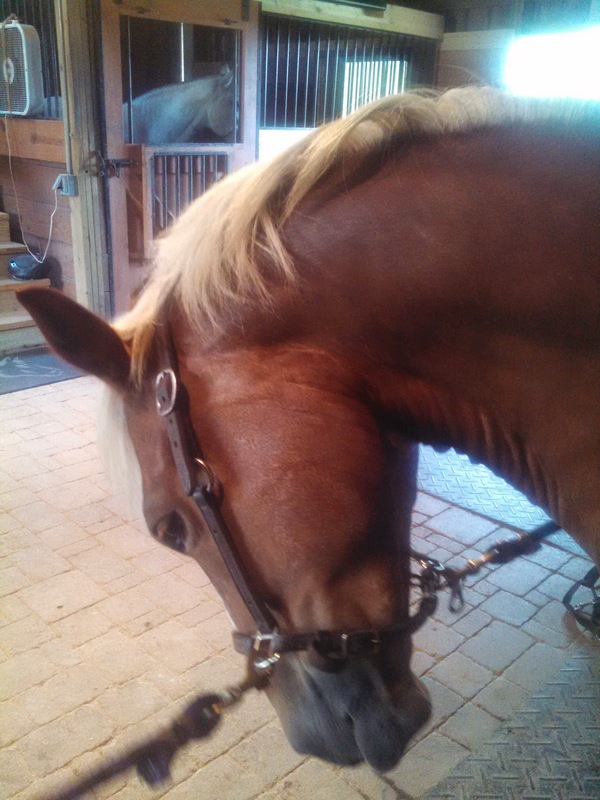 He's my horse and a reflection of my riding, for better or for worse, since he only gets trainer rides a few times a year. I am always grateful for the tuneup he gets during those rides, though, as well as the feel my trainer gets, since it helps her know what to tell me in my lessons. Hahaha I loved "this is actually a goat" "this is my horse". Too funny! Probably it would be best if you don't look too close at Paddington's face. He might be a wee bit fuzzy for your tastes, lol! I will keep my distance! Bridger head an epic winter beard, but I'm not familiar with the summer beard. Glad you are back! Yeah, we got beards for every season. Thanks! My Hano mare grows goat beards like no one would even believe. Drives me nuts too! I'm glad I am not alone in that! Is that bump on his back? Like along his vertebrae? I would just call the chiro if so. That happened to a horse I periodically ride and the chiro's explanation was that when a vertebrae gets out of line there can be swelling and edema around it, which causes the bump. It would eventually go away on it's own but the chiro can speed the process up, if that is what's wrong. It is on his back. I have never used a chiro on either myself or Connor, so I don't have a regular one to call, which is unfortunate. I think you're right on all counts. I am so jealous that your boy let's you clip him up that easily. It's like world war 3 with mine. Oh, that would be awful! I had a pony that hated mane pulling, that was no fun. Connor dozes while I clip him, whether we're body clipping or just doing touchups. His only vice is that he gets bored toward the end of body clipping and can't help himself from playing with his tongue and slinging his head around. 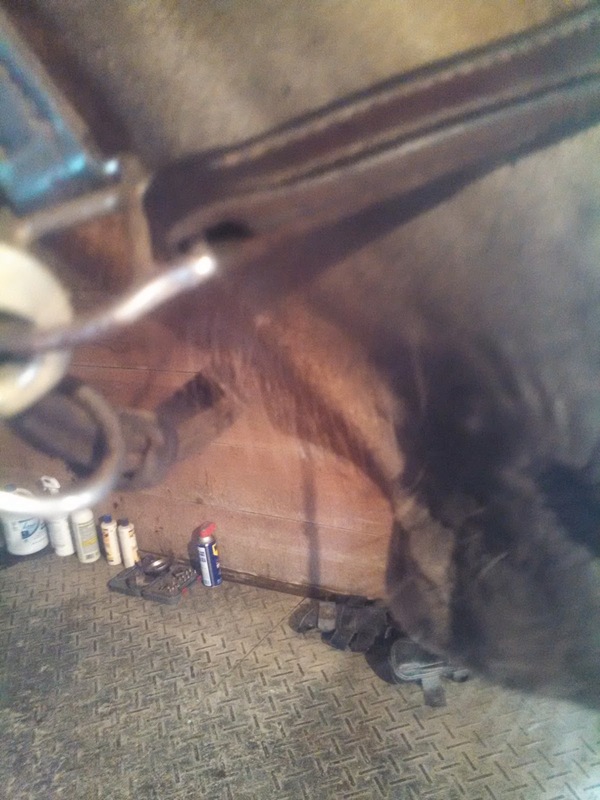 Since my proverbial return.. my horse is also goatey and covered in scraps and bumps all over the place le sigh/. Le sigh indeed. It's like they can't survive without us, when they have an entire barn staff at their beck and call. Horses! Glad I'm not the only one. 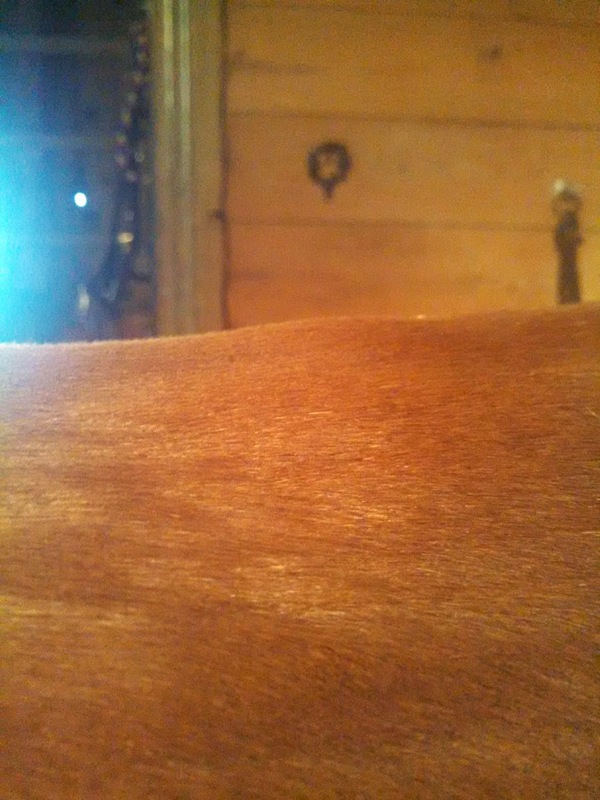 I have a mostly bald thoroughbred and I still whip out the clippers every couple weeks to touch up whiskers/bridle path/face. I'd do fetlocks too, but he seriously is a little bald. Doesn't grow hair. That's ok with me. You are not alone! Well, you are on the fetlocks. I make sure his feathers are even over his feet (sometimes I get to the barn and he's missing a whole chunk) and that's about it.